Upgrade from any previously purchased IK Multimedia product of a value of $99.99 or more. Welcome to the ultimate mixing and mastering suite for producers and studio professionals. 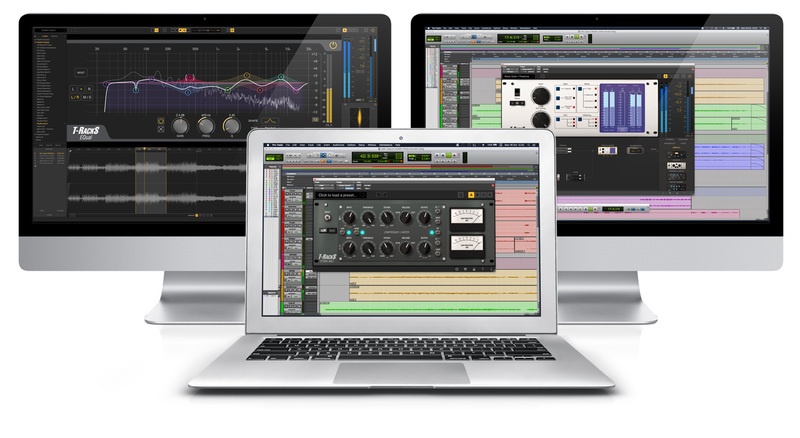 Powerful processing and effortless mixing and mastering are just a click away. 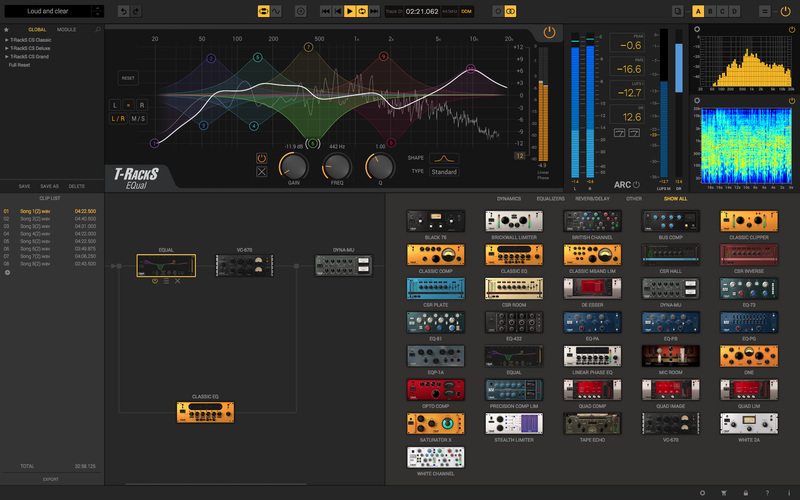 The T-RackS 5 MAX collection for Mac/PC comprises 38 superb modules that range from compressors and limiters to equalizers, channel strips, reverbs and more. All the gear has been modeled after some of the most sought-after production equipment of all time and chosen for its unique sonic character. 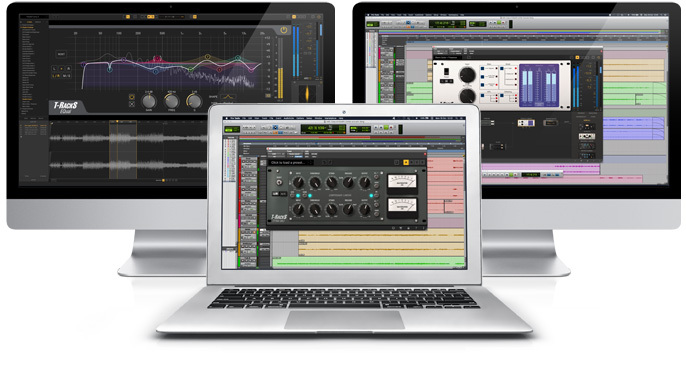 T-RackS 5 MAX is a must-have set of tools for discerning producers, engineers, and musicians wishing to sculpt single tracks and full mixes with some of the most popular, best-selling plug-ins ever created. Not only is T-RackS MAX the superior choice when it comes to building a serious in-the-box configuration, but it is also the most cost-effective solution on the market — in other words, you get a full-fledged recording studio for a sum that won't break the bank and that is simply unrivaled. T-RackS 5 MAX gives you all the processors included in T-RackS 5 Deluxe plus all the individual gear models available in T-RackS Custom Shop. Its 38 included processors spread from contemporary classics like our multiband Quad Lim, our ultra-transparent mastering tool, the Stealth Limiter, to timeless favorites like the White 2A, the VC-670, the EQ P73 and, of course, the four brand new modules: Master Match, Dyna-Mu, ONE and EQual. Everything is in there. Utmost realism, unparalleled performance, and undeniably great sound — T-RackS MAX processors have everything you need to mix and master with top-notch results. 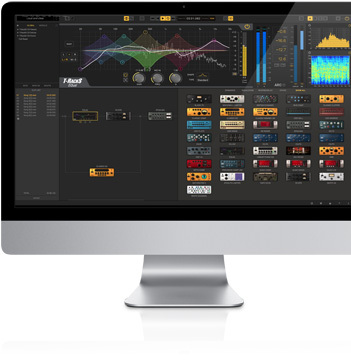 Each model features a redesigned, resizable interface that has all the familiarity and ease-of-use you would find on the original gear models used in the world’s top professional recording and mastering facilities. Each module can be used on its own, as part of a plugin suite inside a DAW or inside the standalone software. In addition to its vast collection of processors, T-RackS 5 MAX includes the new broadcast compliant metering suite an absolute essential for crafting great sounding, future-proof masters that will sound great on any medium. 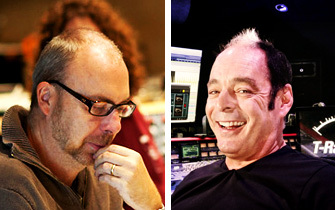 Not only have we packed an incredible amount of features in the all-new T-RackS 5, but we have also teamed up with some of the industry's best engineers to provide you with kickin' presets you can use in your productions and that will help you adopt the same approach as the one that defined the sound of these incredibly gifted studio giants. While we cannot guarantee you will be nominated for a Grammy® next year, or win one, we can assure you that the results you will achieve will unquestionably be worth one. They will keep adding presets on a regular basis, so be sure you know when they are available. Check back regularly and subscribe to our newsletter to stay updated. Presets are available for all users who have downloaded and authorized T-RackS 5 Custom Shop, T-RackS 5, T-RackS 5 Deluxe or T-RackS 5 MAX.